As anyone involved in the development and manufacture of pharmaceutical products and medical devices knows, a clean environment is crucial to ensuring the safety and viability of the end product. Environmental monitoring describes the processes and activities that need to take place to characterise and monitor the quality of the environment. 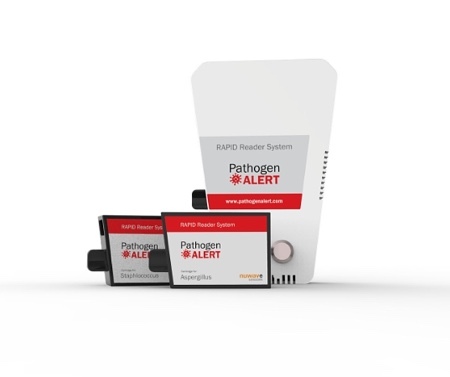 This monitoring provides evidence that the facility and documented procedures are fit for purpose in controlling product or device bioburden within specified limits. Because aseptic processing relies on the prevention of micro-organisms from entering open containers during testing, microbial bioburden of the environment must be evaluated on a regular basis to ensure compliance with Good Manufacturing Practice (GMP). Criteria for the assessment of bioburden varies according to the classification of the room itself; however, the basic principles of environmental monitoring and good housekeeping procedures remain the same regardless. 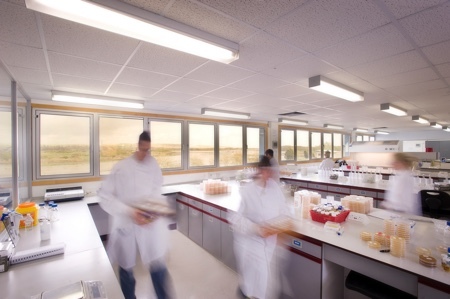 By performing certain tasks in controlled environments, such as laminar flow cabinets or isolators, and by the use of well-defined hygiene and cleaning procedures within the facility, the product contamination risk is minimised. Initial qualification of these controlled environments, including room set up and cleaning procedures, should be carried out both in rooms empty of equipment to assess any air flow issues and after equipment has been installed to verify the impact of any changes made to the air handling change rates. Where would microbial contamination most likely have an adverse effect on samples during testing? Which surfaces represent the most inaccessible or difficult areas to disinfect? What activities are performed in the area which might contribute to the spread of contamination? Which areas are closest to high traffic areas or are situated nearby to doors opening in or out? What are the flow processes in the lab – personnel, waste, etc? What is the potential for contamination from interventions and manipulations? Once the specifics such as which areas should be assessed and how much sampling there should be have been decided, the method of monitoring must also be considered. 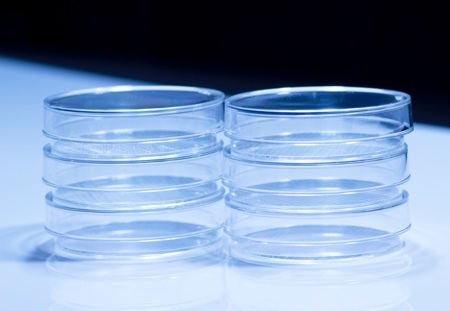 Microbiological monitoring can be undertaken by active air sampling utilising a validated viable particle collection device (air sampler), or passive sampling via settle plates and contact plates. Which method is most appropriate is determined by the requirements of each particular assessment. 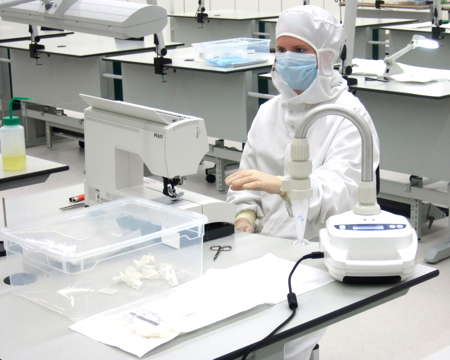 Active air sampling is an effective method of determining airborne contamination in a cleanroom environment through a microbial air sampling unit or a compressed gas monitoring system. This does require either the purchase or hire of equipment, training and qualification of the device, however active air sampling is often advantageous in a low bioburden environment. On the other hand, passive air sampling is cost effective and offers a longer sampling period from which to assess any contamination present. Settle plates (using TSA and SDA) are best utilised for determination of viable particulate contamination for a defined area over a specified time period. Contact plates are used to estimate the microbial contamination present on surfaces within the laboratory environment. All surfaces not just those used directly in testing must be assessed, in particular those which are located nearby high traffic areas or which undergo regular use before and after testing procedures. Examples of commonly used surfaces which should be routinely monitored include telephone handsets, exit doors, and product bins. Contact plates containing lecithin and tween are used to minimise the effect of residual disinfectants on the recovered micro-organisms’ growth. For surfaces where the use of a contact plate is impractical, environmental swab tests may be used to assess contamination. The method applied to these environmental swabs is semi-quantitative and should be used as an indicator of overall contamination or to monitor trends or sanitisation procedures. 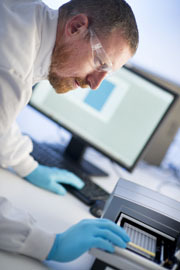 Given the paramount importance of cleanliness within the laboratory, manufacturing unit or any other area in which a product or device may be exposed to latent contaminants, a confirmed schedule must be in place to monitor the air and aseptic processes within the facility that may affect test results. Should any contaminants be identified during the monitoring process, root cause analysis should then be performed to identify and address the cause of the contamination. 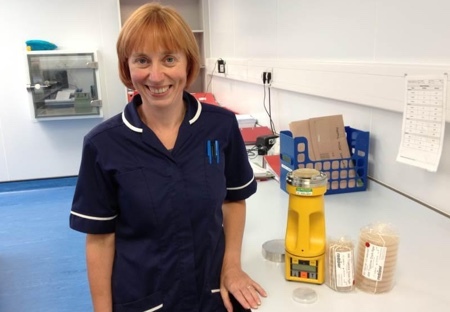 Characterisation of recovered micro-organisms is also useful within an environmental monitoring programme of trending and identification as these isolates often correlate with the contaminants found in the working environment. Providing a complete overall environmental picture provides valuable information for any required investigation as well as facilitating the introduction of additional procedures to ensure aseptic processing in future. This article was originally published in the March/April edition of European Pharmaceutical Manufacturer.